At the beginning of March, Theatre Royal Stratford East held a two-day showcase called Beam 2018, featuring more than 50 new musicals in various stages of development. It was presented under the auspices of Mercury Musical Developments  and Musical Theatre Network , two Arts Council-funded organisations that nurture and promote the writing and promotion of new, indigenous musicals. And even if, just days after hosting this event, Stratford East announced it was shutting down its Musical Theatre Workshop and laying off its musical theatre new-writing manager , there are welcome signs elsewhere that investment and development in musicals is starting to pay off. This is excitingly reflected in the West End  transfer of Everybody’s Talking About Jamie  from Sheffield’s Crucible. But not everything can, or should, end up in the West End. I’ve seen two defiantly original British musicals that properly innovate and challenge their audience’s preconceptions. So the first person to applaud is artistic director Daniel Buckroyd for programming it (the show itself was beautifully directed by Ryan McBryde). I called it a “layered and affecting musical tapestry of love, loss and family revelations”. As with Everybody’s Talking About Jamie, it revolves around the relationship between a mother and her gay adult son. But, while the mother in Jamie embraces her aspiring drag-queen son, there are harsher instances of rejection in Pieces of String. I saw it twice, and both times found myself sobbing along with the rest of the audience. Last week I also caught up with the deliberately confrontational The Assassination of Katie Hopkins  at Theatr Clwyd, which dazzlingly uses Hopkins’ own methods of provocation to tell its story. Whereas she is an avatar of professional grievance, the show dares to be far more nuanced and even sympathetic. As scripted by Chris Bush, with music by Matt Winkworth, it is thrillingly plugged into the current zeitgeist of social media manipulation and hostility. As such, it couldn’t be more timely – or more chilling. It may owe a lot to London Road  in its verbatim musical form, and throws in a little of Jerry Springer – The Opera in its sense of deliberate provocation. But it is also the most seriously abrasive and audacious new British musical since either of those two shows. All of these have stretched the form and possibilities of musical theatre. However accomplished jukebox musicals are – and some, like The Tina Turner Musical , are very accomplished – they are a dead-end for musical theatre. Commercial producers are free to invest in them as they see fit; the returns will come, or not, at the box office. But subsidised theatres have a bigger responsibility: to the art as well as the community they are part of. I’m thrilled that Colchester’s Mercury and Theatr Clwyd in Wales have taken such daring leaps into the unknown. But the really encouraging thing is that they are far from the only new musicals being planned this year. Musical Theatre Network has launched an online listing  dedicated solely to new British musicals being produced around the UK, and it’s a much larger list than you’d think. Around 30 new British musicals are playing or announced to open over the rest of 2018. That means easily more than 50 new British musicals in total will have been staged this year. That ranges from student productions (including The Twelve Chairs at Central School  I’m seeing next week; while National Youth Music Theatre  is presenting four new musicals across the UK) to a new Royal Shakespeare Company  musical about Joan Littlewood, and a four-night West End run for Broken Wings in August. Manchester’s Hope Mill is reviving The Return of the Soldier  (a show I much admired at Jermyn Street), there’s a new musical about the Bronte sisters called Wasted at Southwark Playhouse, and the transfer of Kwame Kwei-Armah and Shaina Taub’s musical version of Twelfth Night from New York’s Public Theater to the Young Vic to inaugurate Kwei-Armah’s tenure  on the Cut. 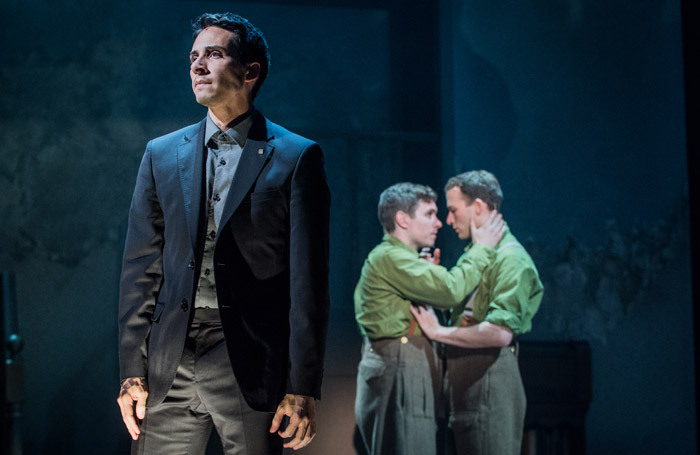 The UK theatre industry has until recently made little distinction between revivals of existing musicals and new work, nor between a new US musical and a British one. Yet the development context and need for support are significantly different. Organisations such as MTN, Mercury Musicals and Perfect Pitch  are offering this, and it is now bearing fruit at last.